Both Scott Lobdell and Paolo Pantalena think that July of 2015 is the perfect time for a trip around the world. So come on, pack your bags, grab your passports, and let's get ready for Paris! You know the drill: fine wines, beautiful Mademoiselles, stunning views, and a fight for your life against a pack of killer mimes. What? Didn't you know that killer mimes are Paris’ biggest attraction? To QUOTE Hellen Keller: “Walking with a friend in the dark is better than walking alone in the light”. We pick up this months issue where the last one left off: With Roy talking Jason into teaming up again, and with both of them moving in together, just like two good friends should, right? Well, if you ever shared your room with a friend during college, you will know that things can get wild really fast, and two vigilantes aren't the exception. Turns out, Roy is quite the hyperactive roommate; designing new weapons and tech, and trying said tech by using his guinea-pig best-buddy as target practice. Obviously, this puts Jason in a bad place, as by nature he's a pretty simple guy, and only needs an apartment for resting, taking a shower, grabbing a bite from the fridge, and other things that he can't seem to get done with Roy staying with him. You see, Jason's attitude is Lobdell's subtle way for highlighting Jason's development since he first partnered up with Roy back on Red Hood & the Outlaws. Jason has grown to appreciate Roy's friendship, and is willing to support him in the same way he did back then. Roy's behavior, on the other hand, shows how much he was hurt by Kori leaving him, sending him into overdrive to cope with his broken heart. However, once Roy lets Jason know that they're both getting evicted (if they don't pay the rent soon), the duo decide to call in a favor and ask Tara Battleworth (the fixer they saved in the previous issue) for some work. Despite Tara being somewhat wary of the boys after running a background check on them, she keeps her word and gives them a simple task as a test: Retrieve a drive filled with confidential information from a diplomat in Paris. If the guys can achieve that without making a fuss, then she will keep them on her payroll. On the whole I'd say Tara is an interesting character, because in only two issues she has proven to be a very rational woman, and is willing to bend the rules if it benefits her. After her first meeting with the boys she quickly realized how useful their skills would be, and while she offered them a job on the spur of the moment, she investigated them afterwards to keep all her bases covered. On the plane trip to Paris, Lobdell delivers one of the best scenes in the issue: Jason asking Roy how he's holding up. Its a simple action, but one that speaks volumes about how much their friendship means to them. Readers of RHATO will notice that this scene is a callback to a similar scene on that book (seen in issue 2) just with the roles reversed: Now it is Roy who is the one lost in the past while Jason is the one looking into the present. Once in Paris, Roy goes crazy over the beautiful French women while Jason is taking the opportunity to let his inner Liam Neeson run wild. I won't spoil how the issue ends, but let me tell you that Lobdell and Pantalena do some really amazing double page spreads to tell the boys' fights. Honestly. They are truly something that has to be seen to be believed. 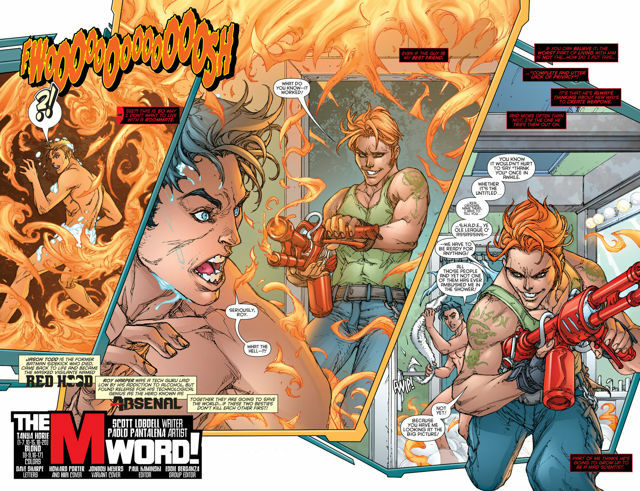 Lobdell’s script perfectly balances the action with the character focused scenes, while Pantalena's pencils provide a striking color-filled background that uses the best elements of the 90s comics aesthetic, making it a perfect fit for the book's tone. My only complaint about the book is that Pantalena's Roy has some very odd expressions, making him look downright creepy on certain panels. 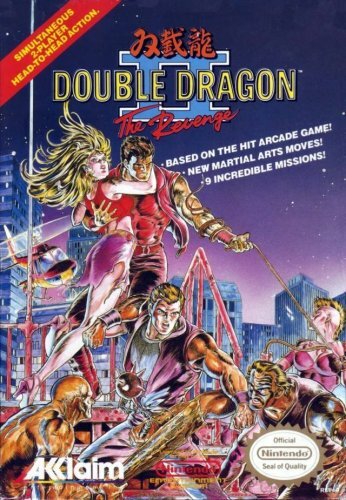 For my musical comparison, I'd pick Double Dragon Neon's title theme, for no other reason than I really, REALLY, want to play 'Super Hero Bros'. 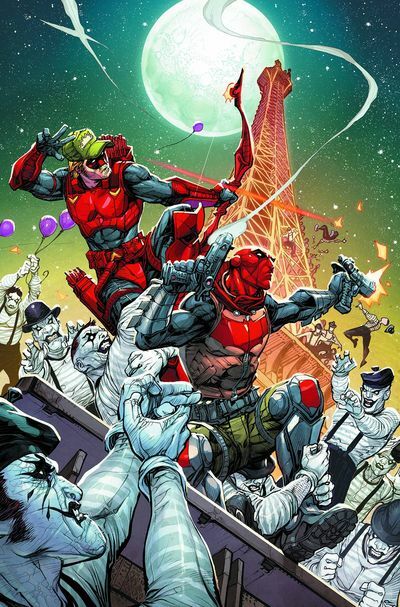 It's no secret that Lobdell is aiming for a buddy movie vibe for this comic book, what with a script lighter in tone, coupled with the amazing visual gags that left me thinking of Beat-em-up games and how well the boys would fit into one. Are you a bad enough Outlaw to rescue the president? It's pretty obvious that Lobdell isn't taking himself too seriously, and is delivering a story that is simply fun from start to finish. However, it keeps a balance between ridiculousness and seriousness that makes the book feel closer in tone to Duggan and Posehn's Deadpool rather than Palmiotti and Conners' Harley Quinn. The art was also a treat for the eyes, and quite frankly, I wouldn't mind if Medri and Pantalena keep sharing art duties too. As always, the banter between Jason and Roy is a delight to read (it reminded me a lot of the Winchester brothers on Supernatural), the humor was on point and I had a huge grin whilst reading the book. 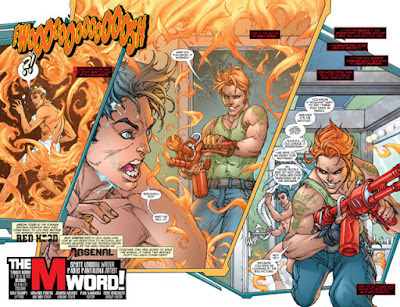 If you guys are looking for a fun book filled with action, Red Hood/Arsenal is definitely for you.